All West Virginia schools were closed on Thursday, February 22, and Friday, February 23 due to the start of a historical work stoppage, which continued for nine days total. School employees decided to take a stand against rising insurance premiums and low wages. The strike was kick started on Saturday, February 17, after the union leaders announced the work stoppage while the teachers and school service personnel rallied at the state capitol. Busses were provided for teachers and service personnel, taking them to and from the capitol. At the rally, teachers listened to speakers, who were other teachers and service personnel who recounted the struggle to hold down more than one job and pay the rising PEIA premiums. Union leader of American Federation of Teachers (AFT), Christine Campbell; Union Leader of WV Education Association (WVEA), Dale Lee; and Union Leader of WV School Service Personnel Association (WVSSPA), Joe White also spoke during the historic rallies. Teachers had the support of the United Mine Workers of America among others. The motto for the strikers was #55Strong. 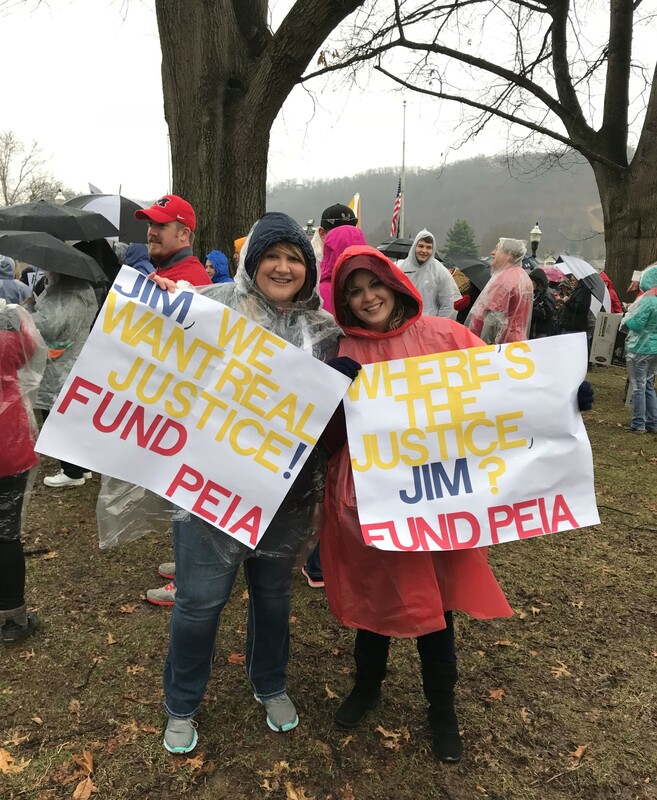 Finally, after nine days of striking, and much push back from the capitol and Governor Jim Justice, public employees were granted a 5% raise and a task force to fix PEIA. School resumed on Wednesday, March 7th, 2018.